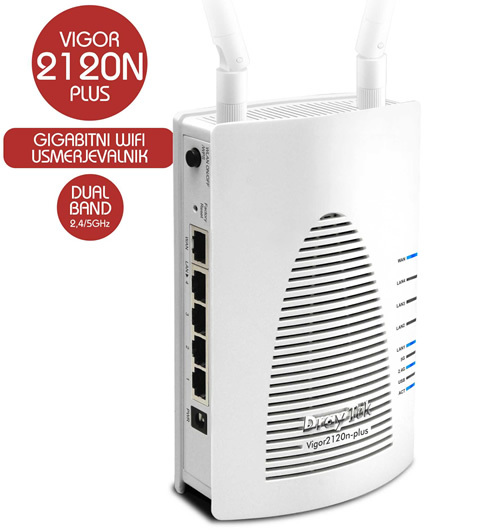 The Vigor2120 and Vigor2120n plus are broadband routers designed for super-fast broadband. 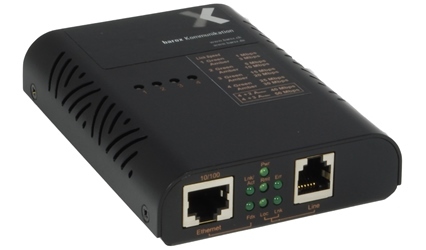 The Vigor2120 series are equipped with Gigabit Ethernet WAN port and Gigabit Ethernet LAN switch for digital entertainment and fast data transmission. The concurrent 2.4/5GHz WLAN network allows you to have flexibility of using available bandwidth within non-congested spectrum. The 5GHz spectrum is also very ideal for home multimedia streaming. 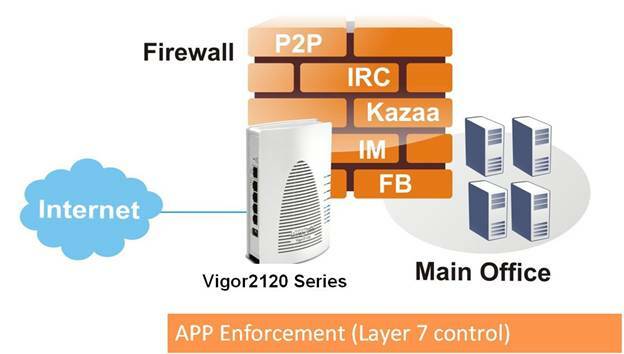 The Wireless LAN of Vigor2120n is with versatile secure management to ensure better security. With the dashboard of Web User Interface, you can promptly know the status of broadband connection and relevant management mechanism. 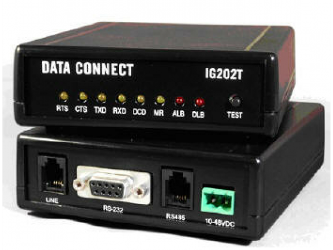 The Vigor2120 series's USB port can also be used to add storage memory to the unit in the form of a USB memory key or for higher capacity a USB hard drive (which may require its own power). 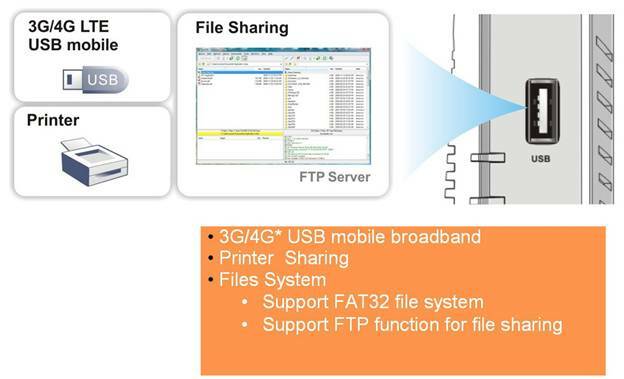 The Vigor2120 then provides access to this memory by FTP from the WAN (remote Internet users) or users on your own LAN. 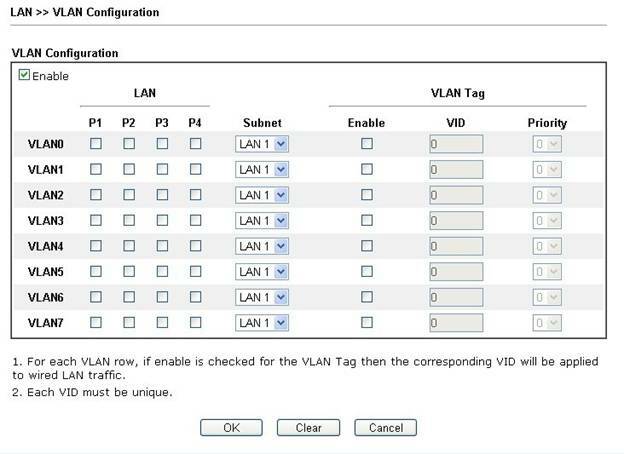 With Object-based firewall, you can use pre-define objects or groups for IP, service type, key words, file extension, text, and mix these with the Time Scheduler or the VLAN groups as required. By adoption of the world-leading GlobalView Web Content Filtering, you can block whole categories of web sites (e.g. 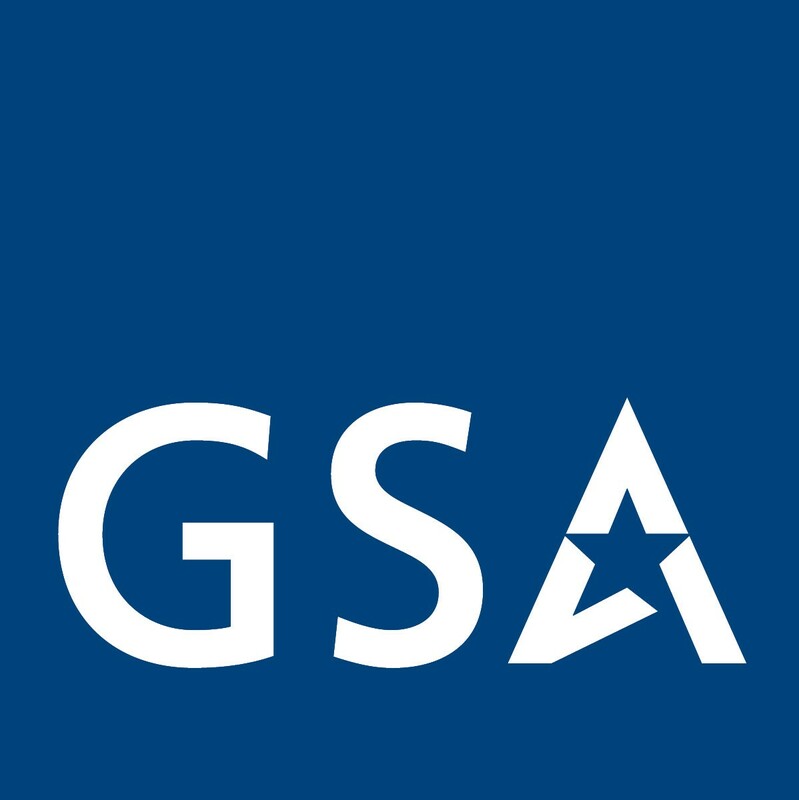 sports, online shopping), subject to an annual subscription to the GlobalView WCF, which is timely updated with changed or new site categorizations. A free 30-day trial can be activated via activation wizard of WUI. 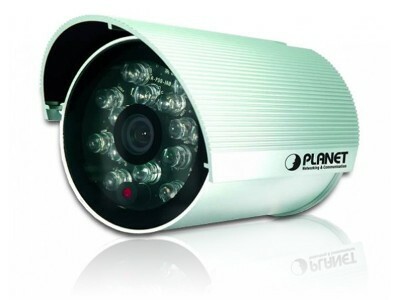 The Vigor2120 series support more than 120Mbps IPSec VPN performance through 2 VPN tunnels (including SSL VPN) which let you to establish remote data access from home or remote office. 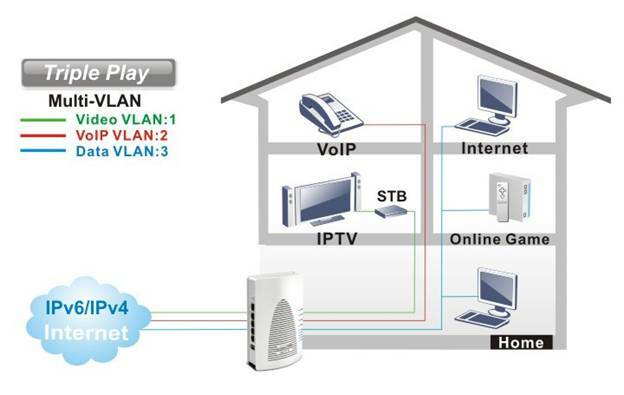 The DrayTek VPN functionalities are multi-protocol such as IPSec/PPTP/L2TP for most famous VPN servers. 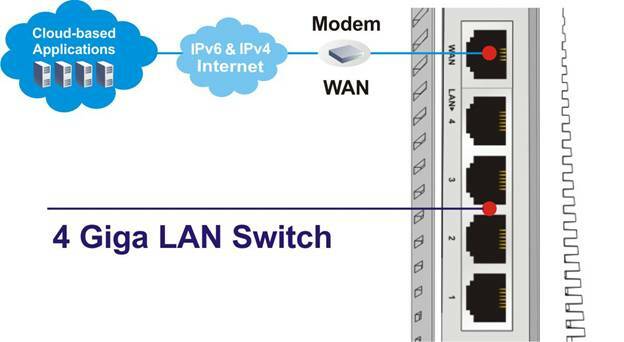 Even with 2 VPN tunnels, you still can make VPN connections via LAN-to-LAN or remote access along with brilliant Web-based applications. The utilization of broadband bandwidth is very critical for business operations. With VoIP QoS, the VoIP calls will be automatically prioritized to let communications be smooth. You can manage the bandwidth consumption of every employee based on the individual IP via "Session Limit" and "Bandwidth Limit" settings. 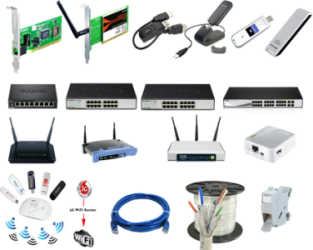 You can deploy a secured wireless LAN with WEP/WPA/WPA2 or a discreted guest wireless with Multiple SSID and Wireless LAN isolation to avoid from unauthorized access, hacking, and virus attachs. 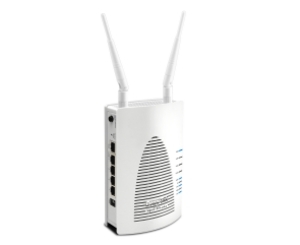 Addintionally, the WMM (Wi-Fi Multimedia) keeps the priority of voice, video and audio applications over the 2.4G/5G band. Whatever your planned use is, the Vigor2120 series has WMM standards that let you game a lot and spend much time enjoy streaming videos. Through mobility, brought by cellular networks, you can connect 3.5G/4G USB mobile to 2.0 version USB port on Vigor2120 series. This can be a backup broadband connection if the primary fixed line drops. You can connect USB disk or hard-drive to USB port for memory storage and file sharing. If you can not subscribe fixed line for Vigor2120 series, you can subscribe 3.5G/or 4G USB mobile to connect it to USB port for mobile broadband sharing.